Taiwan’s recent wet weather conditions, Dengue fever tops the list of disease according to Taiwan’s Center For Disease Control (CDC). Most cases of Dengue came from Northern and Central Taiwan. Dengue fever is a tropical disease transmitted to humans by mosquitos. Dengue fever is transmitted and spread by tiger mosquitoes (Aedes Albopictus) and yellow fever mosquitoes (Aedes Aegypti). Both type of mosquito live in different areas and increased disease rate during wet season. The peak time for these mosquitoes to attack is 2-3 hours after sunrise and 2-3 hours before sunset, according to CDC epidemic specialist. Urge by CDC to the public to make sure that our home and environment clean to prevent mosquitos housing on still bodies of water and source of water to be properly sanitized. Platinum Technology Optics Co., Ltd (PTOT) located in New Taipei, Taiwan will hold an interview to directly hire filipino Male Machine Operators via government to government program under Department of Labor and Employment (DOLE) and Philippine Overseas Employment Administration (POEA) which is called special hiring program. Deadline of submission of application will be on September 3 ,2018 for POEA regional offices and POEA central office. Interview will be on September 18, 2018. Platinum Technology Co., Ltd. enters the field of optics based on self-developed materials and becomes a supplier of key materials for optical filter wafers and optoelectronics in major mobile phone camera modules in China, Europe, America, Japan and Korea. . After becoming the world's first 12 million pixel camera phone supplier in 2009, it continues to work hard and leads the technology. You may know us for high-quality semiconductor packaging and test services. An unswerving commitment to customer service, engineering expertise, and high-volume manufacturing excellence. Helping solve the complex technological challenges facing the industry is what continually motivates us. As the original pioneers of the OSAT industry, Amkor has helped define and advance the technology manufacturing landscape. 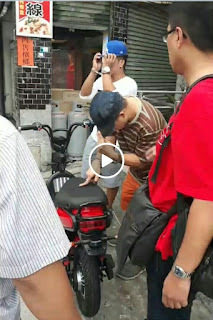 Taiwan Hiring: Factory Workers for Foongtone Technology Co. ltd.
August 27, 2018-Taoyuan, Taiwan, Huli sa Entrapment Operation ang dalawang (2) Pinoy na umanoy nagbebenta ng mga nakaw na Electric Bike. Kaagad pinusasan ang dalawa, ayon sa dalawa ay ibenenta lang din daw sa kanila ng mga Tiawan National. Sercomm Corporation has been committed to the development of broadband networking software and firmware. With its state-of-the-art manufacturing facility and its fully integrated engineering capability. Sercomm’s mainstream products include Integrated Access Devices (IAD), FTTx Products, Cable DOCSIS 3.x Equipment, Small Cells, Smart Home Control, Mobile IoT and SMB Products. Apply personally at office of JS Contractor at Magallanes St., Intramuros, Manila and bring all necessary documents. By purchasing products in Taiwan more than NT3000 (Php5,100) on the same day from the Tax Refund Shopping posted store, tourists will be able to claim 5% VAT. Refunds can only be claimed within 30 days after purchase. Aside from airports and seaports, the foreign traveler can find tqx refund counters at SOGO Malls, Taipei 101 Mall, Kaohsiung Hanshin Department Store and Shin Kong A8 Store. Economic growth of Taiwan will lead to increase the minimum wage of the country and it should be expected, according to Taiwan Premier William Lai (賴清德). No amount is given on how much would be the possible increase as the Minimum Wage Review Comittee will meet and discuss regarding the potential increase. Last year of September 2017, the comittee approves the increase of NT22,000 (currently) minimum wage and implemented at January of 2018. All foreign workers and migrant workers are included on the possible increase as per Standard Labor Act of Taiwan. Career Technology located in Taipei, Taiwan will hold an interview to hire filipino Female Machine Operators via government to government program under Department of Labor and Employment (DOLE) and Philippine Overseas Employment Administration (POEA) which is called special hiring program. Deadline of submission of application will be on August 21, 2018 in POEA central office in Ortigas, Manila. Tentative Iterview will be on August 29-30, 2018. Career is ranked as one of the world's top ten leading manufacturers of flexible printed circuits. Career manufacture products for various applications including mobile phones, touch panels, tablet PC, flat displays, notebooks, GPS, Autotronics as well as medical instrument market segments. Taiwan manufacturer HTC announce that it will cut 1,500 jobs around 20 percent of its total workforce. This is part of the company's global manufacturing optimization strategy. HTC claims that with less 1500 of manpower that it will be more effective as its starts sending dismissal notices. Previous reports said that HTC is now a fading brand (in India). The company also has issues regarding its foreign laborers as HTC is faking documents and tampering worker's contracts to escape paying workers salaries and benefits. Taiwan Union Technology Corporation (TUC) was established in 1974. Its former name was Taiwan Union Glass Industrial Co., Ltd, mainly produced optical glass. TUC works with its customers and focuses on innovation, research and development to provide superior quality. Visit MIP International agency at Project 8, Quezon City, Manila. Visit and apply personally at office of Eyequest International agency at Mabini St., Ermita, Manila. Company Profile: Founded in 1992, AAEON is the world's leading manufacturer of advanced industrial embedded computer platform design, manufacturing, industrial 4.0 and IoT smart solutions. AAEON is committed to product innovation and provides complete hardware, service, and system integration solutions for system integrators and OEM/ODM customers worldwide. AAEON provides customers with high-quality, high-reliability computing platforms, including embedded single-board computers, industrial-grade motherboards, PC/104, PICMG, COM modules, embedded computer systems, industrial-grade liquid crystal displays, and industrial-grade LCDs. Computer systems, portable rugged tablets, network security devices, image monitoring devices, IoT gateway products and related accessories. At the same time, AAEON also provides customers with one-stop shopping and highly flexible customized services from product concept development, research and development, mass production and after-sales service. 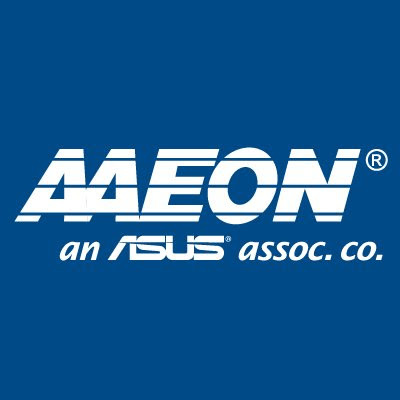 AAEON continues to pursue innovation and excellence and joined the Asus Group in 2011. Under the attention of ASUS Group's advanced technology support and abundant resources, AAEON's leadership in the industry has been strengthened. Looking forward to the future, AAEON will provide customers with higher quality and more embedded products and IoT smart solutions with world-class design and manufacturing standards. AAEON is a member of the Intel® Internet of Things Solutions Alliance. Agency: GRAND PLACEMENT & GENERAL SERVICES CORP. The new bill is drafted to answer the shortage of Skilled Workers and aging population of Taiwan. The target of this drafted bill are the Foreign Professionals, Mid-level Foreign Specialist, and Taiwan Expats and its family. The bill will undergo 60 days of Public Scrutiny and if this bill will approved, the eligible foreign workers under the systems will be able to obtain permanent residency if they worked in Taiwan for an average of 183 days during 3 consecutive years. But the most priority are the first two types of workers. With experience in SMT Machine operation work, Visual Inspection, DIP, PCBA testing experience or any Industrial Computer operation.